This sought-after southwest Gainesville pool community features energy-efficient homes by G.W. Robinson and is located off SW 91st St. Cobblefield is a family-friendly neighborhood with winding roads and sidewalks throughout, as well as great community amenities! This neighborhood offers smaller communities within, including Arundel, Braemar, Dunnideer, Hedingham, Kelburn, Pembridge, Sedgewick, and Thornbury. 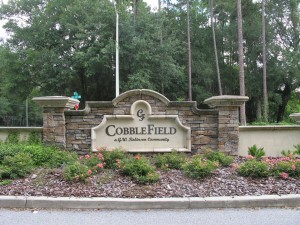 Development of Cobblefield started in 2001 and continued through 2007. There is a wide variety of home sizes in this neighborhood, ranging from 1700 sq. ft. to 4000 sq. ft. Houses in Cobblefield range in price from the $260Ks to the $350Ks. You will find mostly contemporary and traditional home styles. HOA fees are approximately $600 yearly and include upkeep of the community pool, playground and other community areas. Cobblefield is ideally located between Newberry and Archer Road and is close to the Town of Tioga, as well as a variety of shops and restaurants. 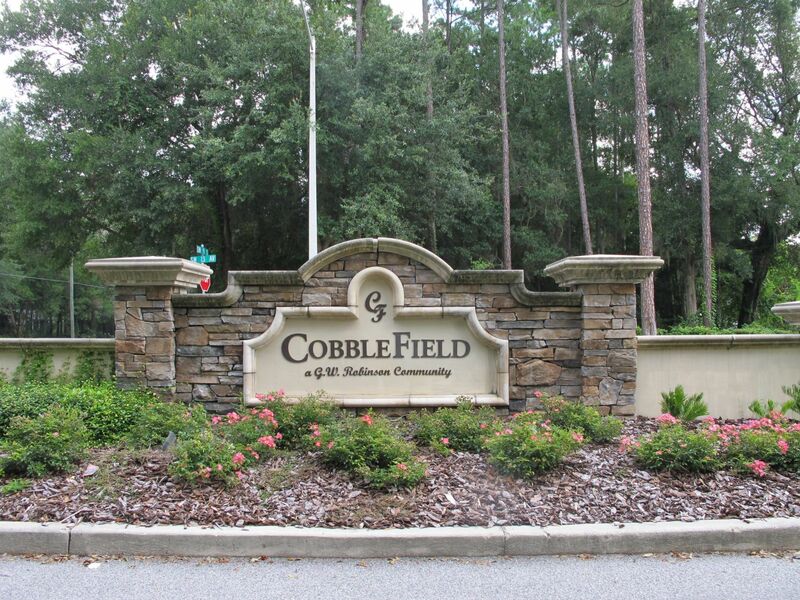 Cobblefield is only 9 miles from the University of Florida and Shands.